From Space Battleship Yamato. The Earth fleet's standard space Cruiser. 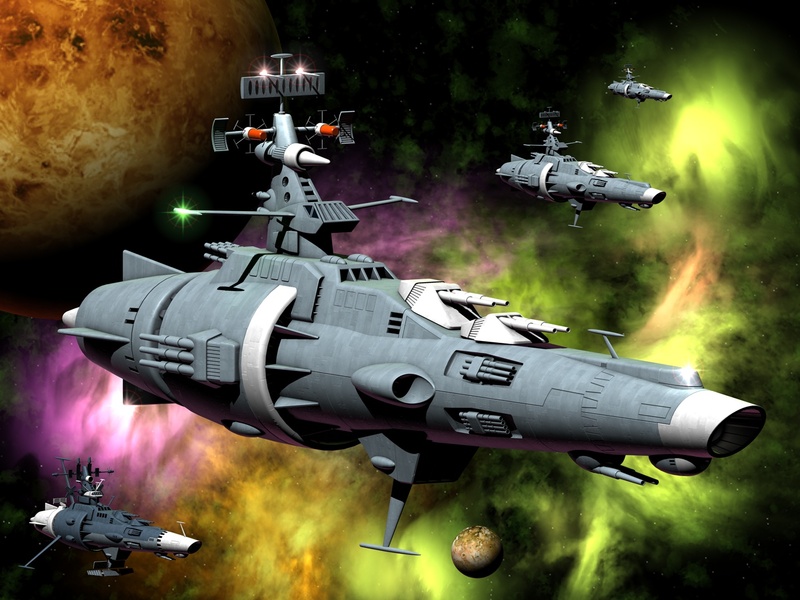 In the lower left of the picture is an EDF Patrol Cruiser in an alternative colour scheme. This series is known in the US under the title Starblazers.